Sun City is known for offering affordable active adult living, world-class amenities and a fabulous lifestyle. One great way to stretch your retirement savings is to restrain yourself from paying too much for a new home. Fortunately, budget-friendly homes are available in beautiful, resort-style communities throughout the country. Start your search by checking out the fabulous amenities and thoughtfully designed homes in these impressive developments. Opened in 1960, Sun City set the bar for retirement living and continued to develop into a thriving community of over 26,000 homes. Today, these homes are available in a wide range of styles, sizes and prices. Many have modern upgrades, while older homes can be updated to your own taste. Impressive amenities include 11 golf courses, 19 shopping areas, multiple clubhouses and a variety of outdoor recreations. 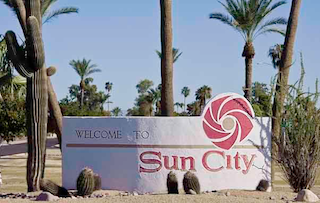 Just 2.5 miles from the original Sun City, Sun City West features 16,900 newer homes, built between 1978 and 1997. Like the original, this Del Webb development offers an abundance of amenities. Highlights include nine golf courses, four recreation centers, shops and restaurants, swimming pools, sports courts and the Del E. Webb Hospital. Homes include both single-family and attached designs in a wide range of prices and sizes. Robson Communities developed Sun Lakes over the course of 34 years, from 1972 to 2006. This long construction period allowed a diverse mix of single-family and attached homes. Five distinct neighborhoods each feature their own golf course and amenity-rich clubhouse. Homeowners' association fees vary by neighborhood, letting homebuyers choose the setting which best meets their needs. With a total of 2,664 homes, Leisure World is smaller than many Arizona active adult communities. However, its resort-style amenities include two 18-hole golf courses, three outdoor pools, tennis courts and a variety of outdoor recreations. The spacious clubhouse features a state-of-the-art fitness center, hobby and game rooms, three ballrooms and much more. 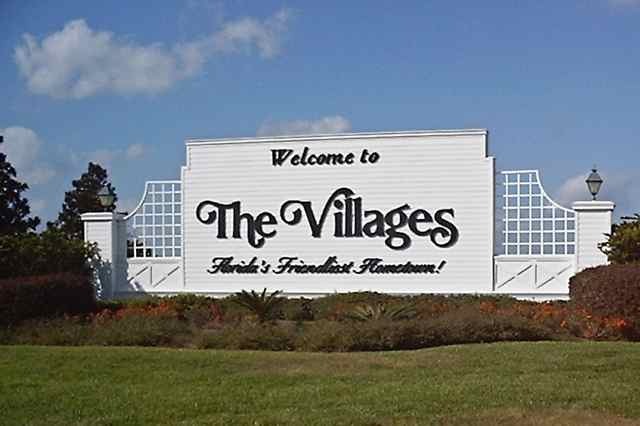 The Villages is very affordable and is also one of the largest active adult communities in the world. Spanning three counties, three zip codes and over 20,000 acres, The Villages is one of the largest age-restricted communities in the world. This impressive development features dozens of recreation centers, 35 golf courses, swimming pools, restaurants, shopping centers, movie theaters, a hospital and much more. Upon completion, the community will contain over 56,000 homes with styles to fit any budget. Built between 1987 and 2008, Plantation at Leesburg offers 2,820 single-family homes in a luxurious, country club setting. Residents in this gated community can enjoy the amenities at multiple clubhouses, including fitness centers, swimming pools, hobby and game rooms, two 18-hole golf courses and a variety of outdoor recreations. Affordable homes are found throughout the community's 30 different neighborhoods. The well-established Kings Point community has welcomed active adult retirees since 1973, while continuing development also offers the choice of new construction homes. Kings Point is located within Sun City Center, but it is not affiliated with the larger community. Highlights of the on-site amenities include multiple clubhouses, indoor and outdoor swimming pools, varied outdoor recreations and an exciting line-up of social clubs, classes and events. In the heart of Central Florida, On Top of the World is a sprawling gated community which features many desirable amenities, as well as plans for approximately 10,000 thoughtfully designed homes. The main Health and Recreation Building includes a state-of-the-art fitness center, a cozy library, 1,500-seat ballroom and outdoor recreations, such as sports courts for tennis and pickleball. Additional facilities provide arts and crafts studios, hobby and game rooms, and plenty of space to socialize. Although it has a small-town feel, Oak Run supports an active retirement with a fabulous line-up of amenities, special-interest clubs, classes and community events. Multiple clubhouses invite residents to mingle or make use of the facilities, including fitness centers, demonstration kitchens, hobby and game rooms, sports courts and swimming pools. Built between 1985 and 2007, the affordable homes feature both duplex and single-family designs. Active adults who prefer a smaller, more intimate neighborhood may find their dream home at Lakeside Crossing. This lovely community features plans for just 692 homes, yet it also offers a variety of amenities spread across a spacious clubhouse and state-of-the-art fitness complex. Affordable single-family homes are available in four floor plans, including sizes ranging from 1,397 to 1,907 square feet. Wherever you plan to retire, there are many resort-style communities across the country which offer affordable homes and exciting social and recreational amenities.